(Sept 2014) It's time to make an announcement that's both happy and sad. 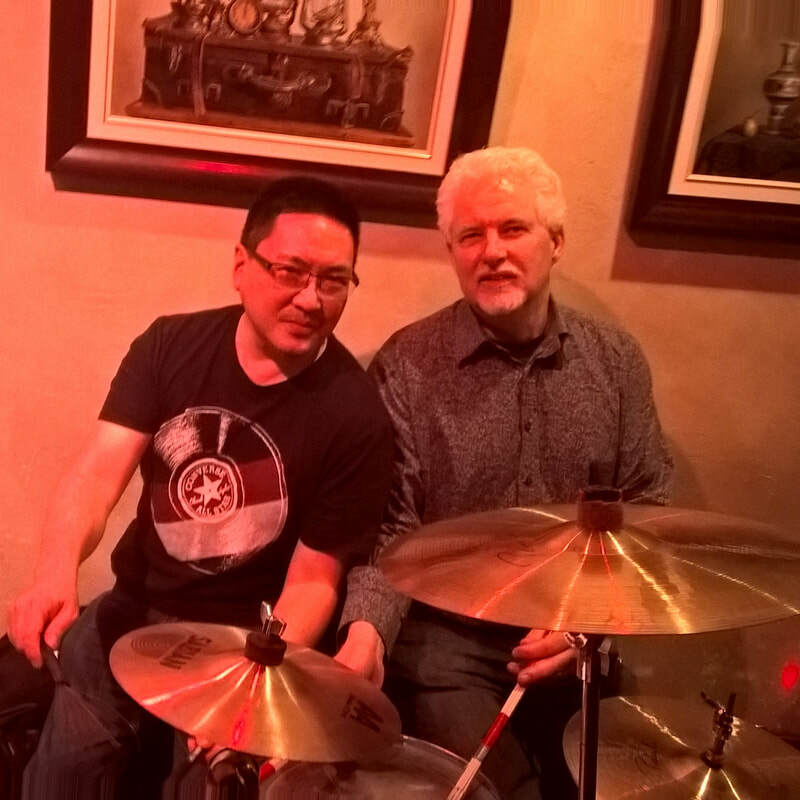 It's happy because swingin' sticksman Brent Deakin is taking up residency at The Pearl Motel (You can see a nice pic on the "Staff" page). Brent has played with us on many occasions and grooves like no one else. He's been manning kits around town for longer than he'd like us to mention and is always in hot demand. If you haven't caught us yet with Brent in the chair, check us out. He fits in just fine. But this announcement is also sad because Jeff is moving on to other musical pursuits. That's not to say you won't see Jeff hangin' out at the Pearl Motel every so often. He has graciously agreed to sit in whenever we need him and you can bet we'll take him up on that offer. We'll miss Jeff's playing and his singing from behind the skins, but we know that whatever musical direction he chooses, Jeff will be its rock steady backbone. Jeff, you'll always have a room here at the Motel.